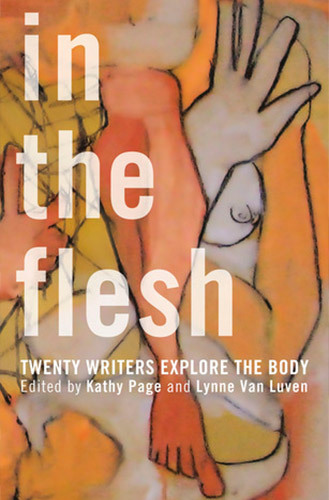 In ‘In The Flesh: Twenty Writers Explore the Body’, edited by Kathy Page and Lynne Van Luven (Brindle & Glass, 2012). In The Flesh is a collection of twenty essays on the subject of the body. Kate’s essay, ‘A Serious Arteriopath’, is a memoir about the heart: the hearts of her parents, and her own heart.